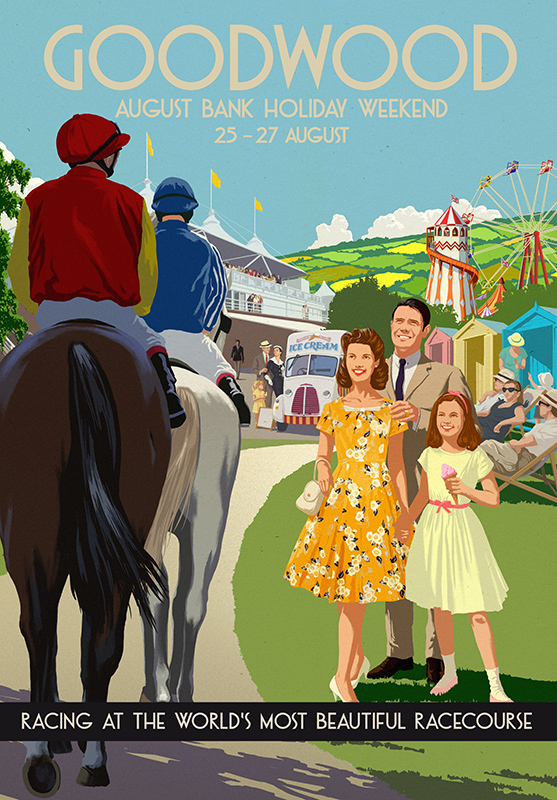 Garry Walton's vintage illustration style has become synonymous with all things Goodwood. This superb illustration was used across direct mail and outdoor posters to advertise their fantastic Bank Holiday Weekend event. To see Garry's portfolio, click here. Garry Walton Pastiche is represented by Meiklejohn. Published on 27 September 2018.